Another meatball, please! 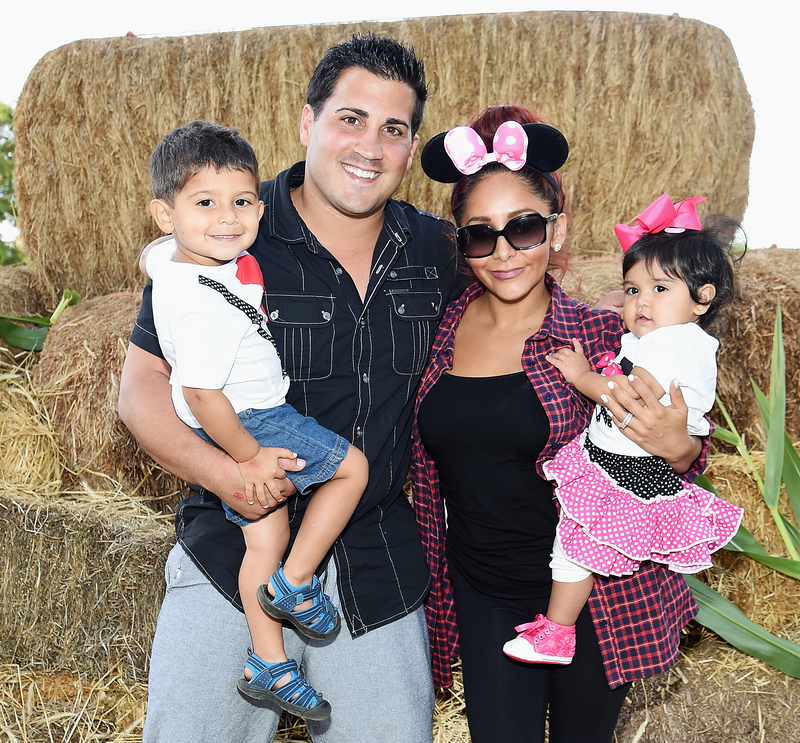 Nicole “Snooki” Polizzi won’t be hiring a divorce lawyer anytime soon. Instead, she may be hiring a new babysitter. The Jersey Shore: Family Vacation star and her husband, Jionni LaValle, are ready for a third child. The couple’s decision to expand their family comes amid ongoing speculation that they are headed for a split. Polizzi, however, quickly shut down those rumors. A lot has changed for Polizzi since the original Jersey Shore aired in 2009. And this time around, her kids were at the forefront of her mind. Jersey Shore: Family Vacation debuts on Thursday, April 5, on MTV at 8 p.m. ET. For more on the Jersey Shore return and the latest celebrity news and interviews subscribe to our new podcast ‘In Case You Missed Us’ below!